1. 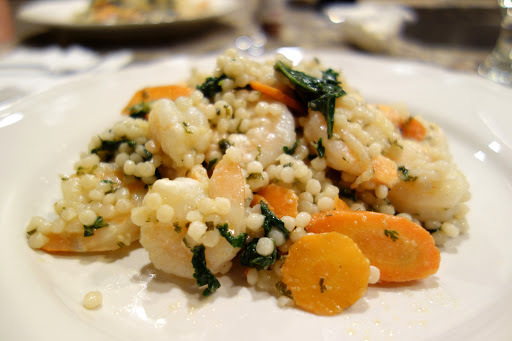 Cook the couscous to package directions. 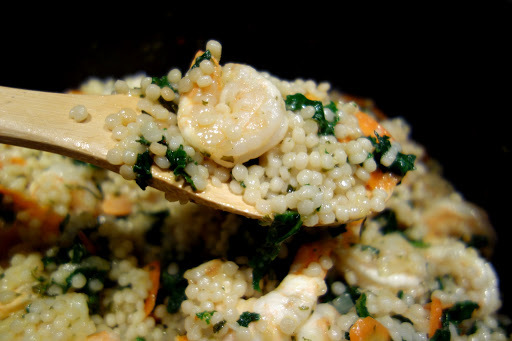 Add a little olive oil to the couscous when it is almost finished, this will keep it from lumping and sticking to each other in the pot. 2. While the couscous is cooking set up a pot of water for blanching the kale. Saute your sliced carrots over medium heat adding a touch of salt to them so they could release some of their own juice. When your pot of water comes to a boil, blanch the kale for about a minute or so and then strain it. 3. 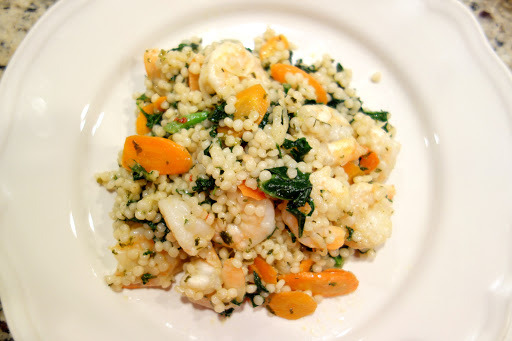 Once the couscous is ready combine it in a large pot with the sauteed carrots, blanched kale, the chimichurri sauce, and the shrimp over medium heat. Mix thoroughly and keep cooking it until the shrimp are ready. Keep in mind not to overcook the shrimp, they cook very quickly. Serve hot with optional crushed red pepper for an extra kick and/or some grated Parmesan cheese. This entry was posted on March 8, 2013 by natalyaperullo in Food.